The scheduler.log trace file is always created in the /ibi/WebFOCUS81/ReportCaster/log directory. This file traces Distribution Server initialization and indicates the options turned on in the ReportCaster Server Configuration tool. 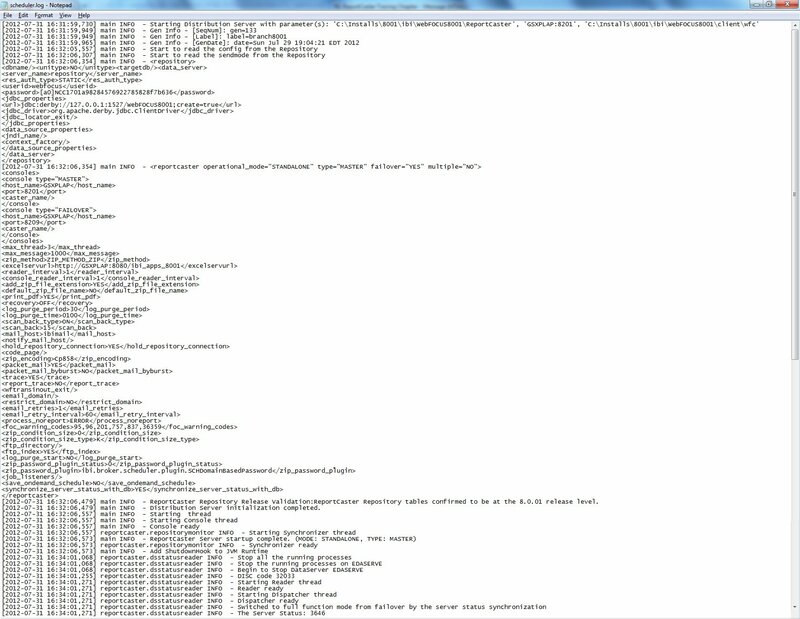 It also shows information that is written to the log file. Note: When multiple scheduler.log files are created on the same day, ReportCaster creates a unique file for each instance, using a date and time stamp. The following format is used: scheduler_DD-MM-YY_HH-MM-SS. The following is an excerpt from the Scheduler.log trace file.